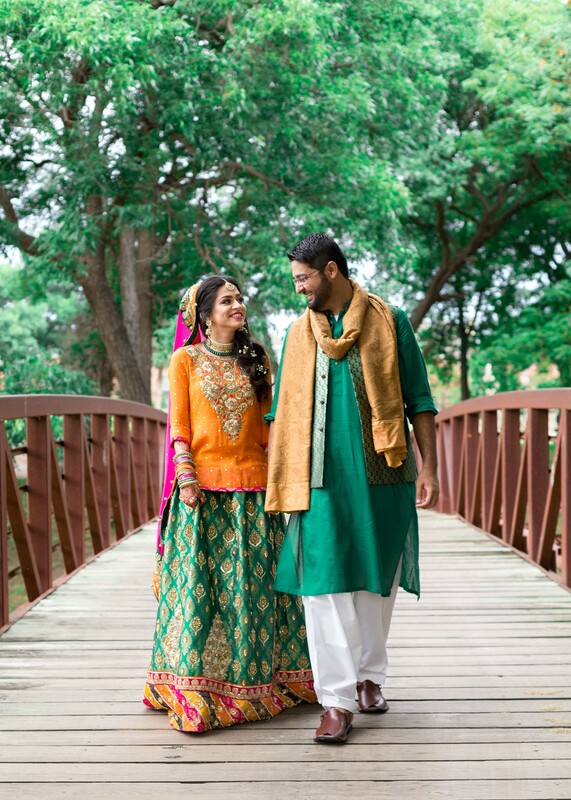 I had known Sanan for a few years before this wedding – we worked together at Southwest Airlines and I unintentionally followed him in nearly every role change that we had. 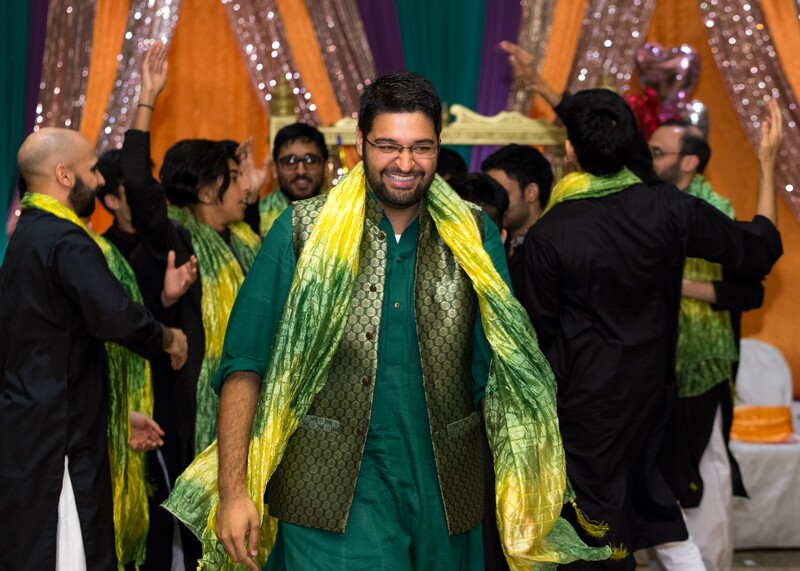 On and off, we were on the same team and he became one of my top people for advice because he was so genuine, kind, and open-minded. 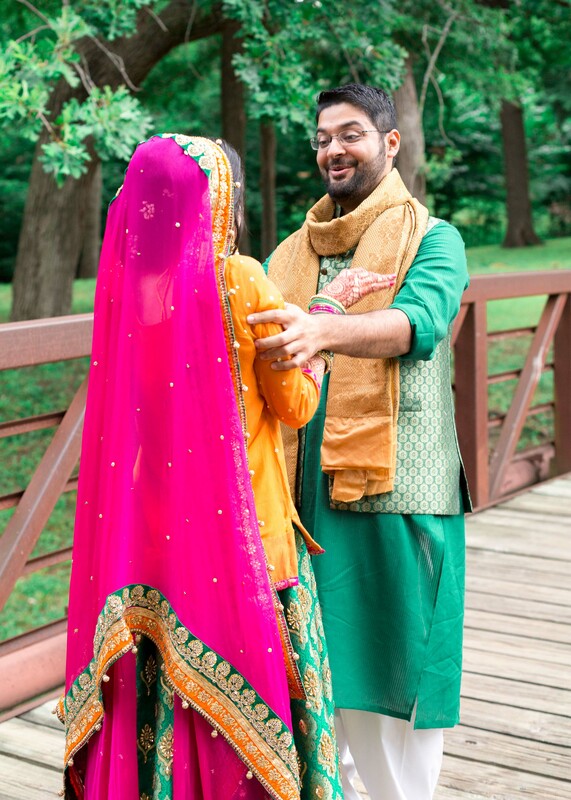 When he first told me about Annaa he was so excited and said that he knew she was the one for him as soon as they met! 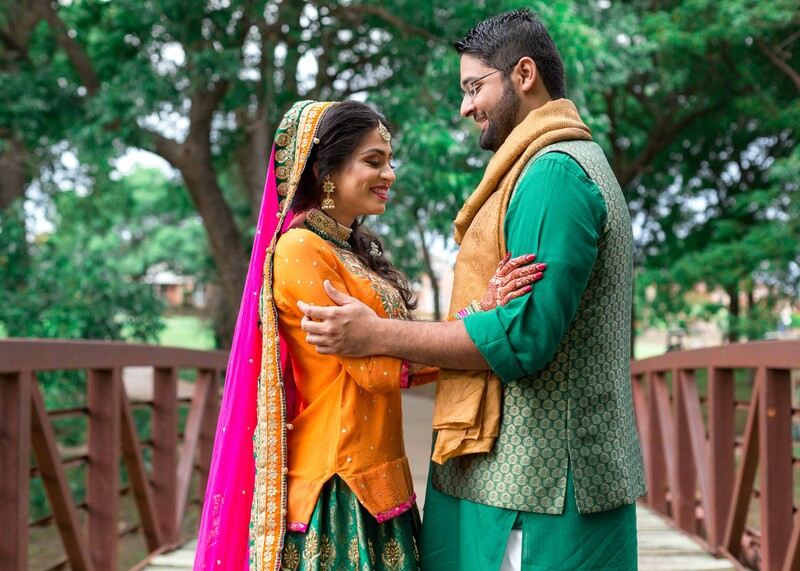 I wasn’t sure someone would be good enough for someone as great as Sanan, but then I met Annaa. 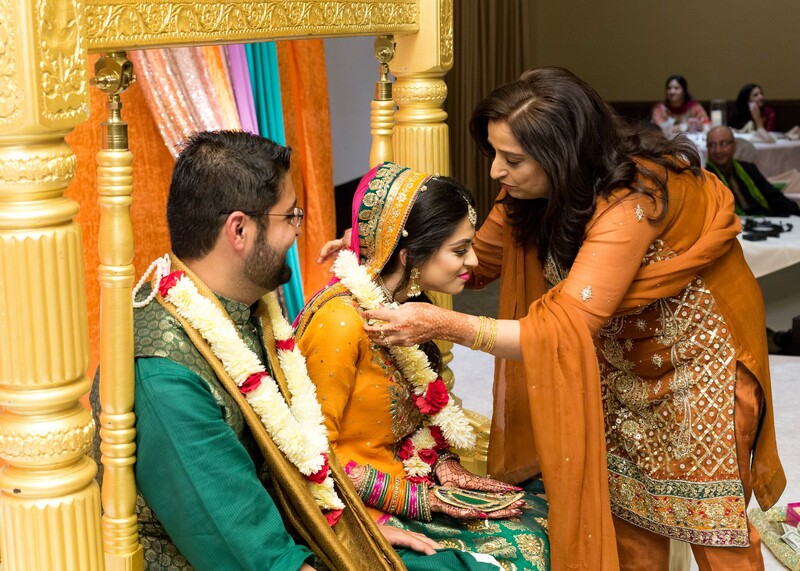 Let’s just say, Sanan’s incredibly kind heart paled in comparison the hers! 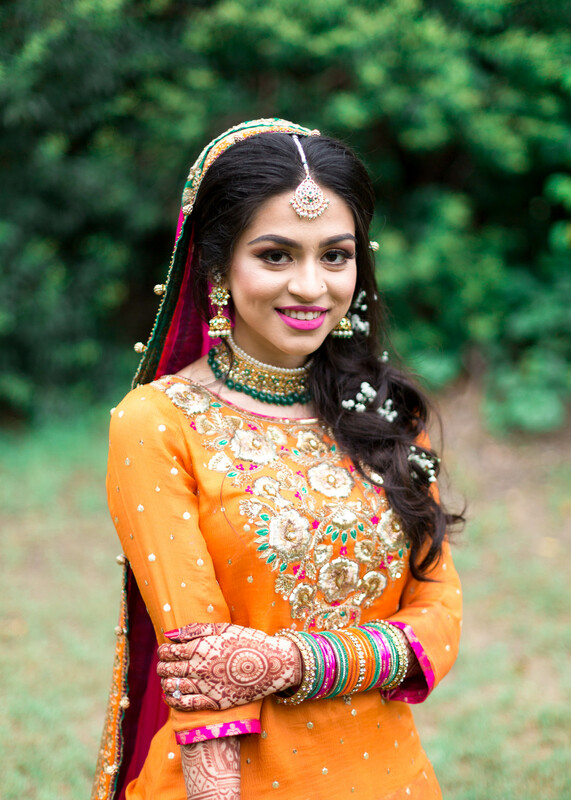 Annaa is the most thoughtful and loving person and she lights up the room wherever she goes. 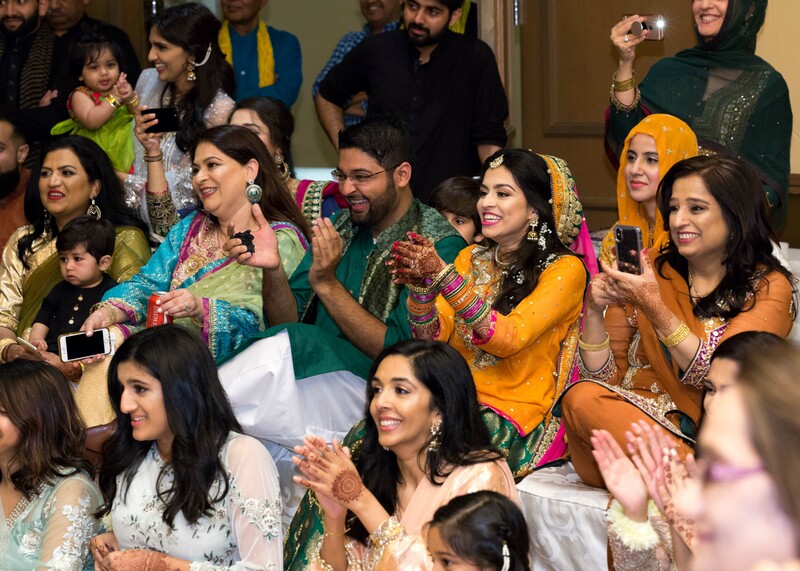 It’s clear how proud her family is of her, and how much they love her and want the very best for her. 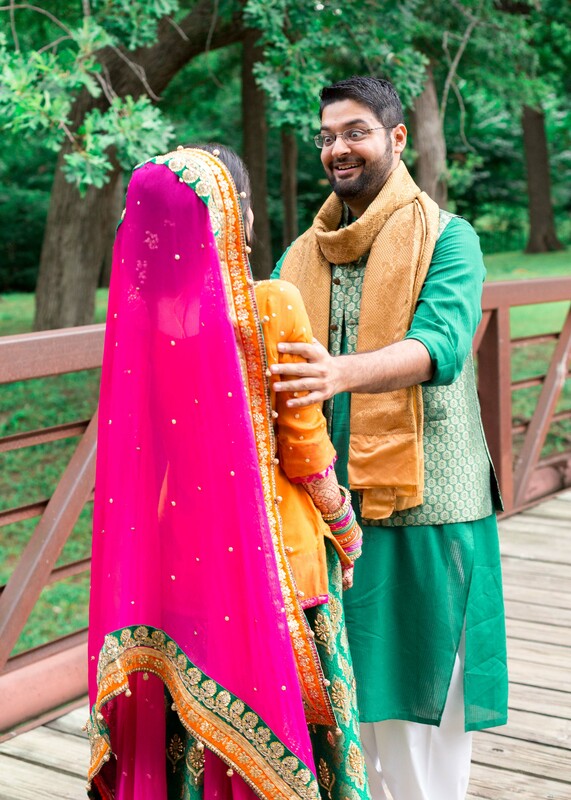 Sanan and Annaa were truly meant to be. 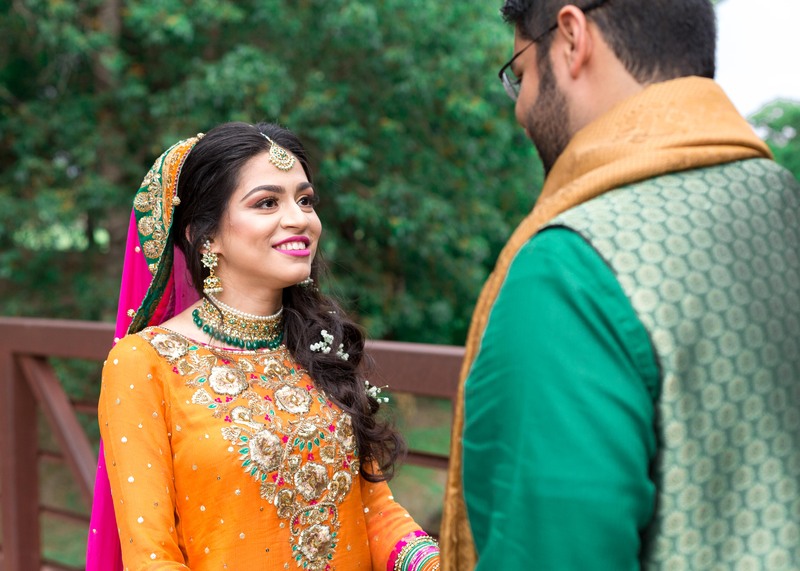 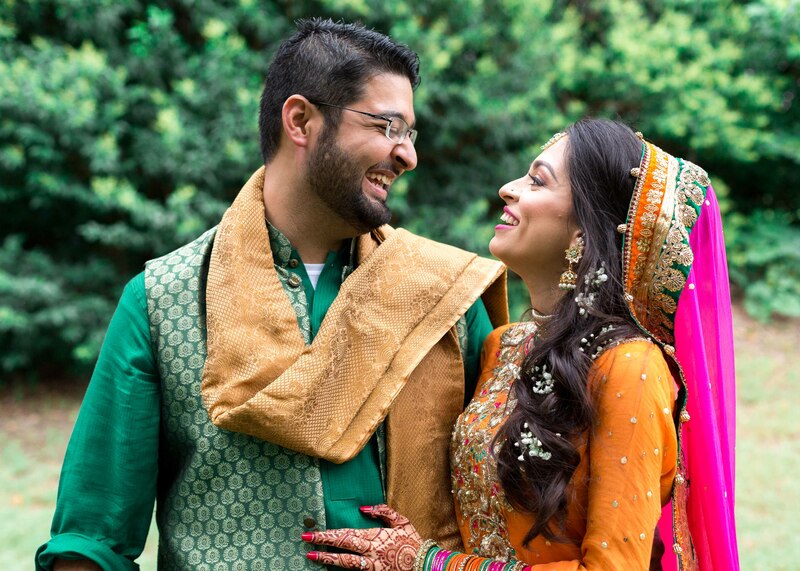 They planned for a first look on their Mehendi night and it was seriously the cutest thing ever! 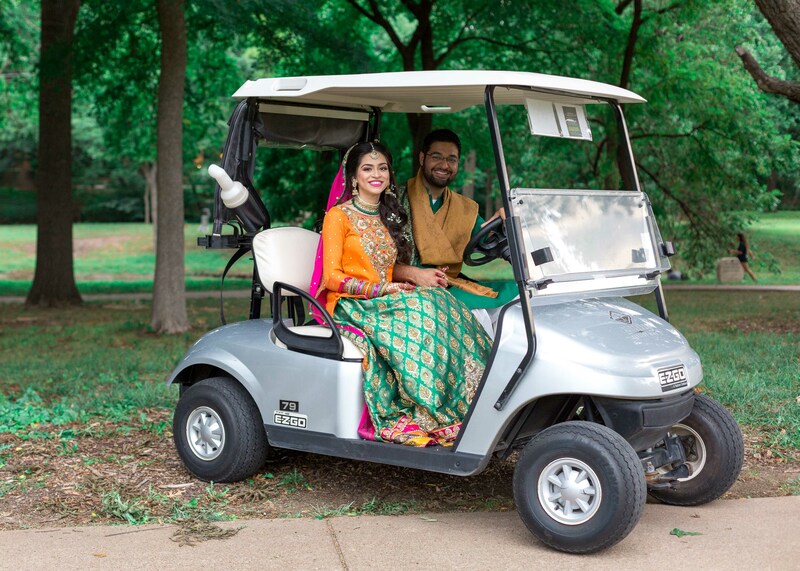 They both got ready at the El Dorado Country Club and we arranged for them to see each other privately before the festivities began. 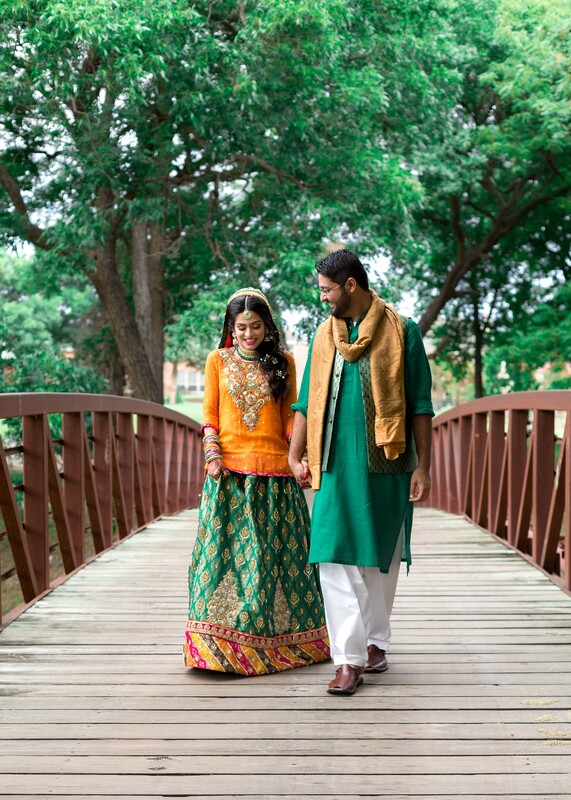 Mohammad from DFW Phoenix Films drove Sanan out to a bridge on the gold course and I followed behind with Annaa and her maid of honor Amina. 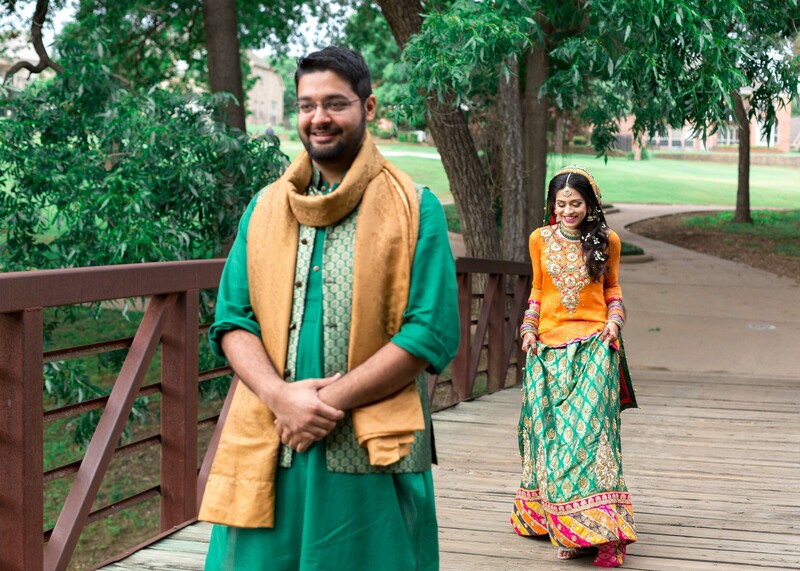 I asked Annaa to walk up behind Sanan and wait for him to turn around. 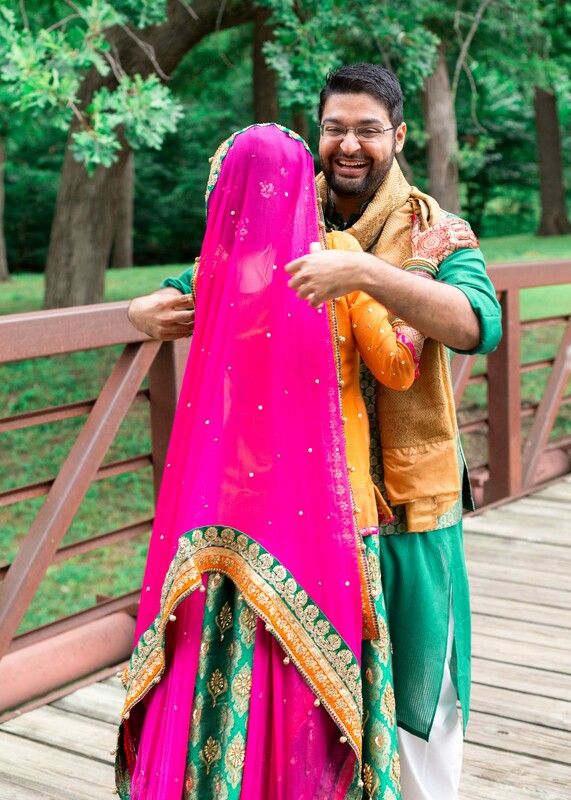 When Sanan turned around he forgot to open his eyes and Annaa started laughing at how confused he was. 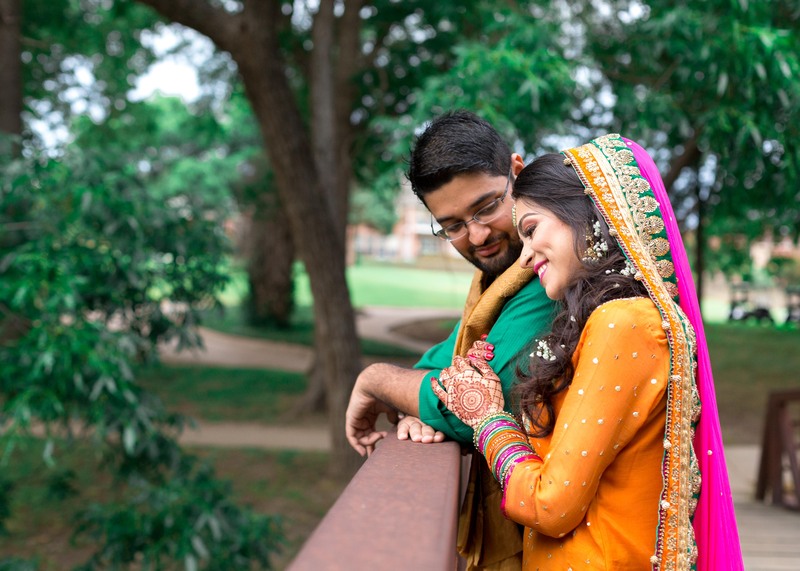 Then he opened his eyes and well…his expression says it all. 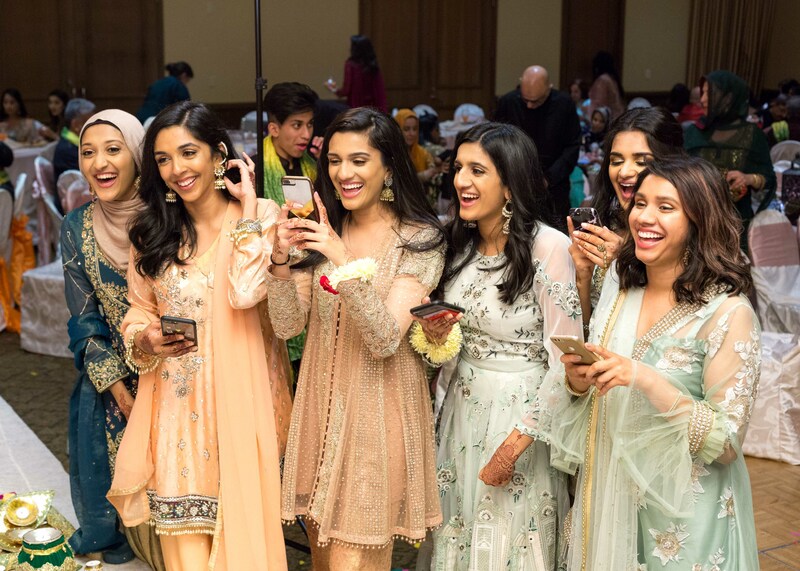 Pure happiness. 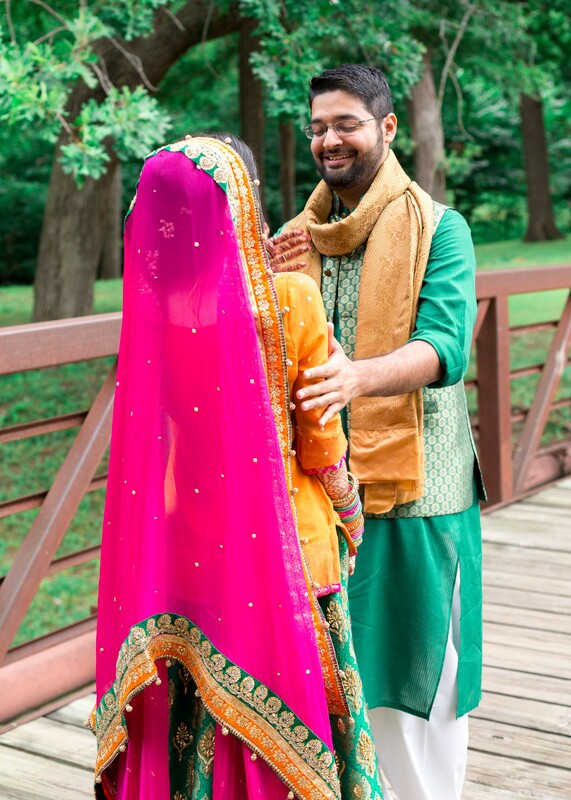 Pure love. 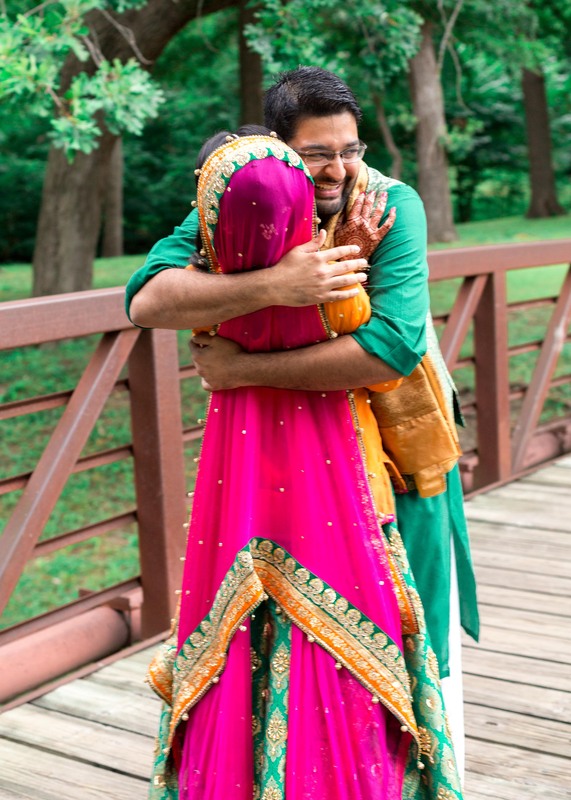 With an instant bear hug, Annaa had to remind him to be gentle and not pull her dupatta off. 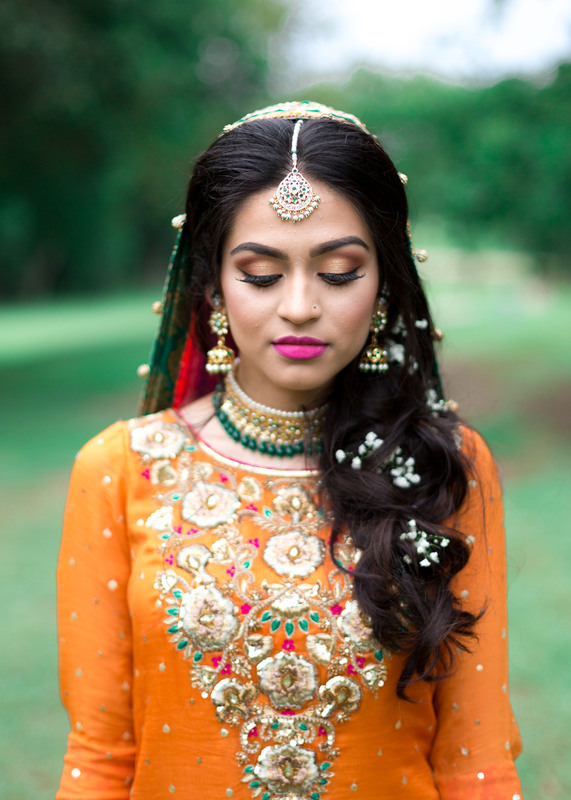 Isn’t she gorgeous?? 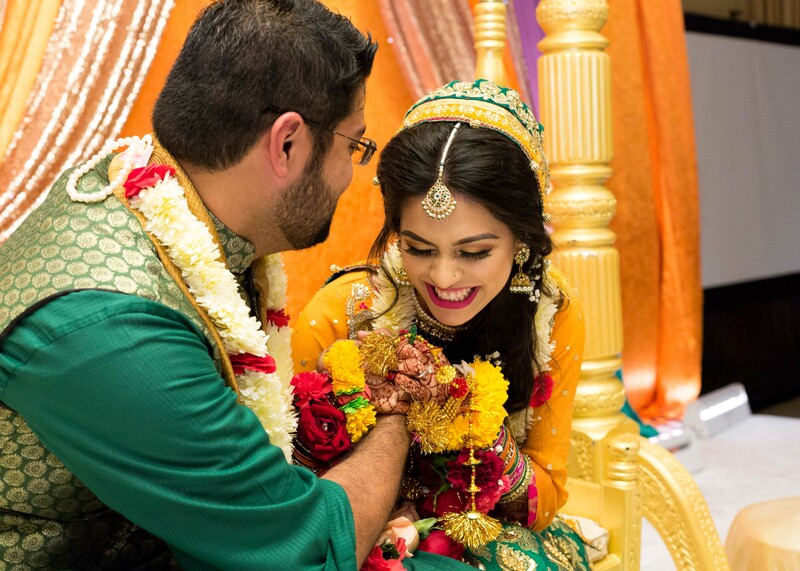 The baby’s breath flowers in her hair were such a perfect touch by Seher Studio Inc! 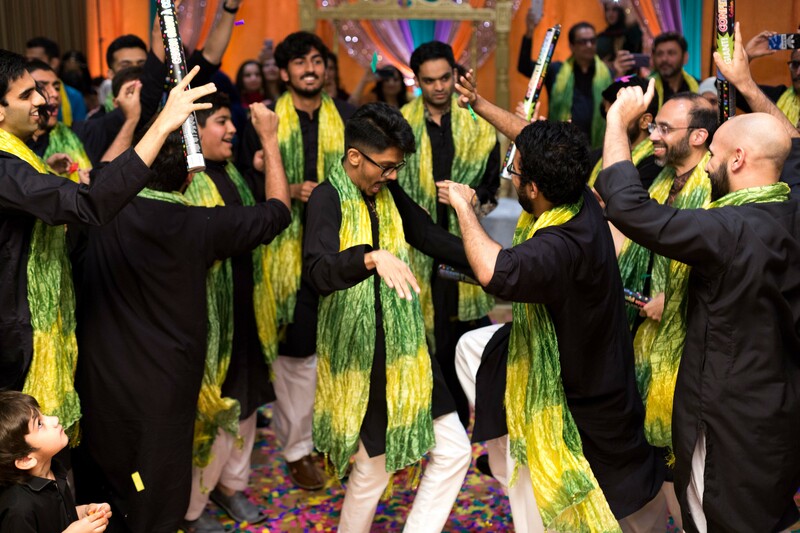 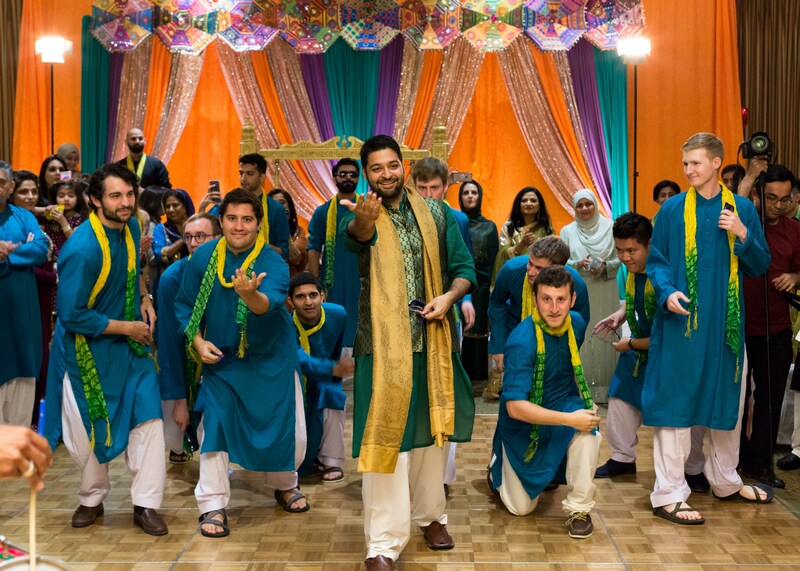 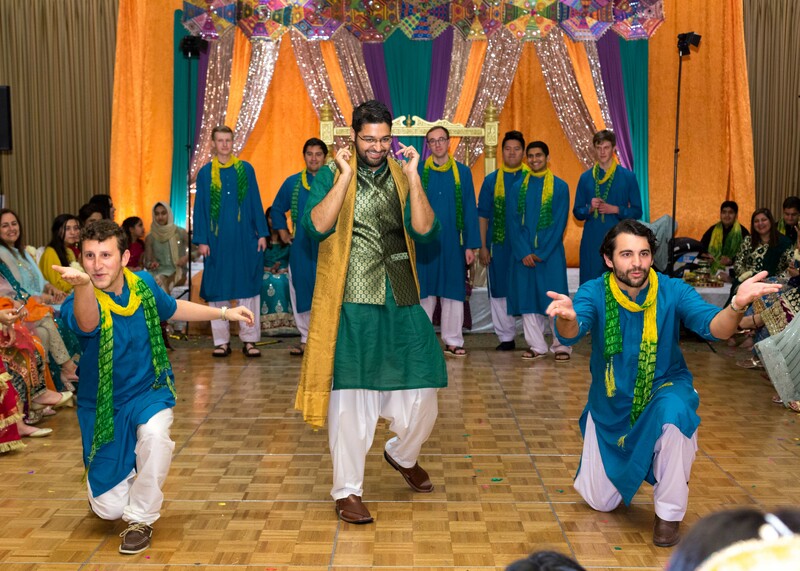 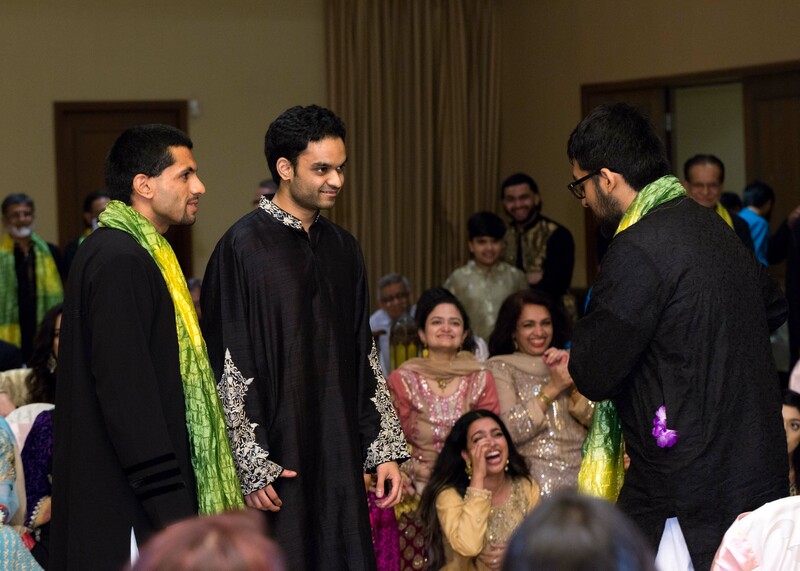 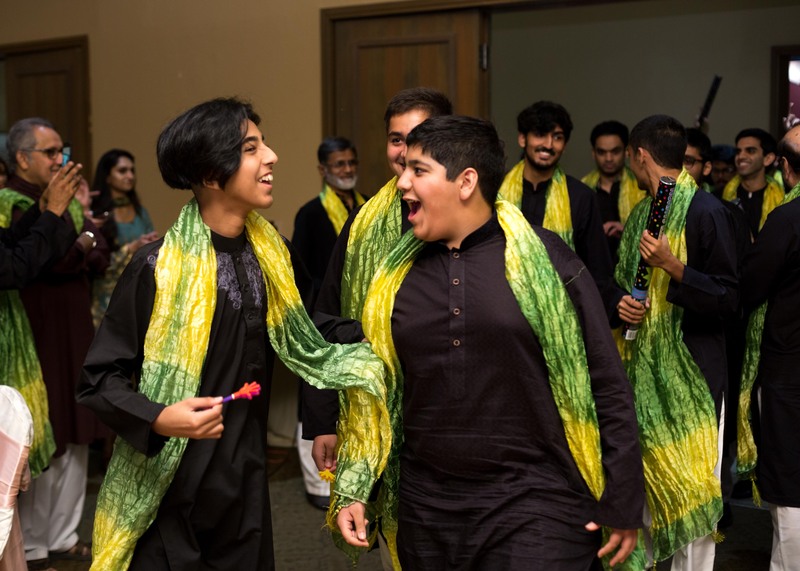 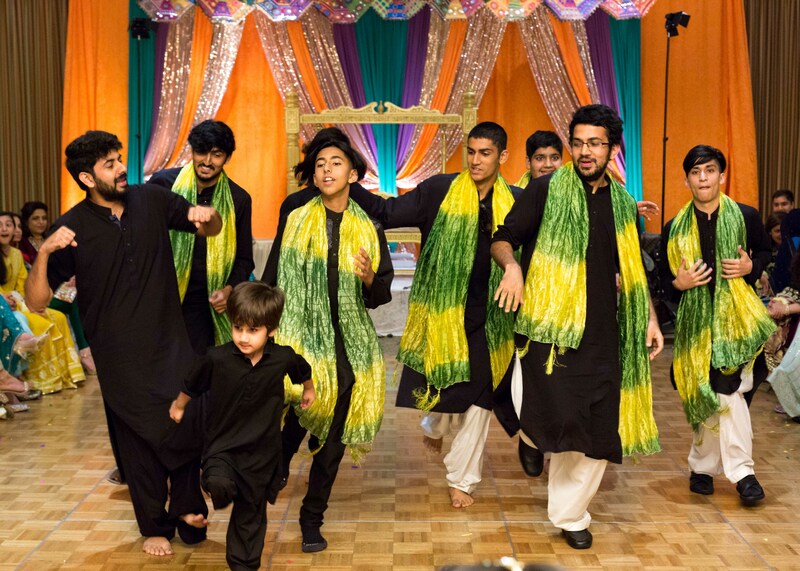 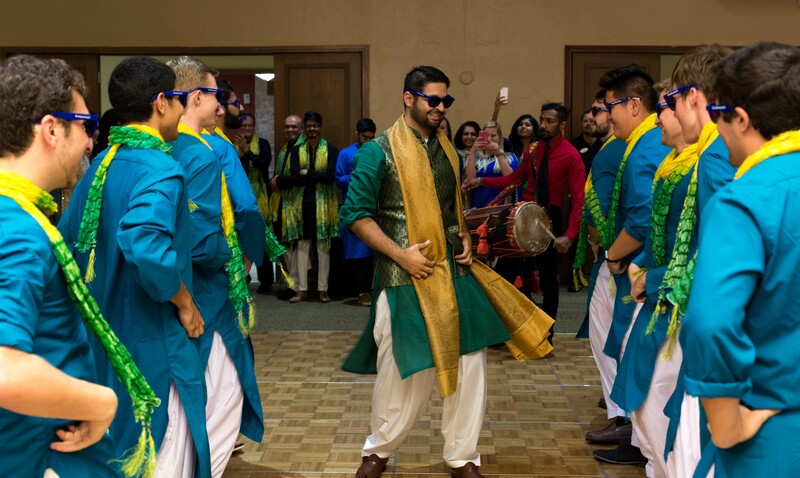 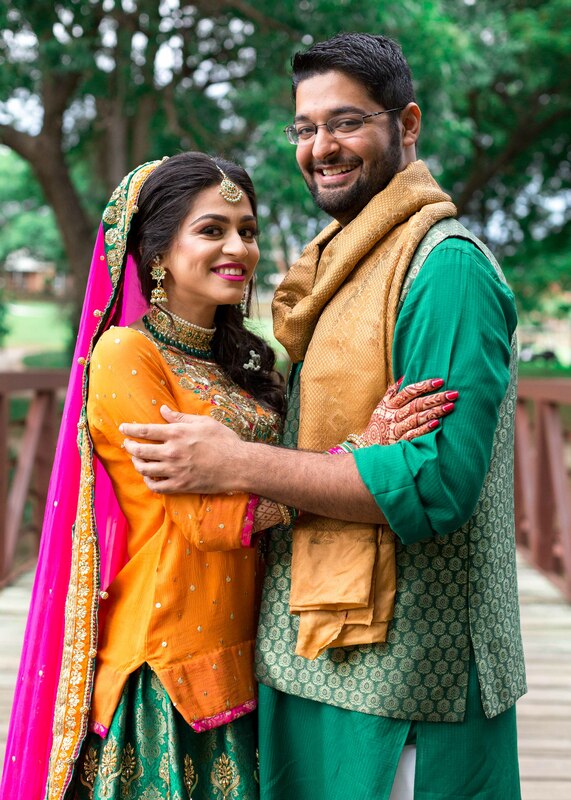 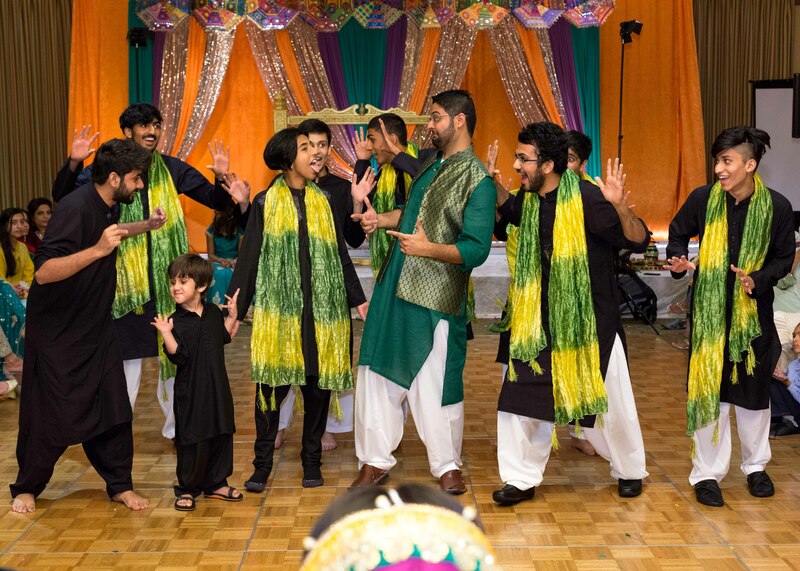 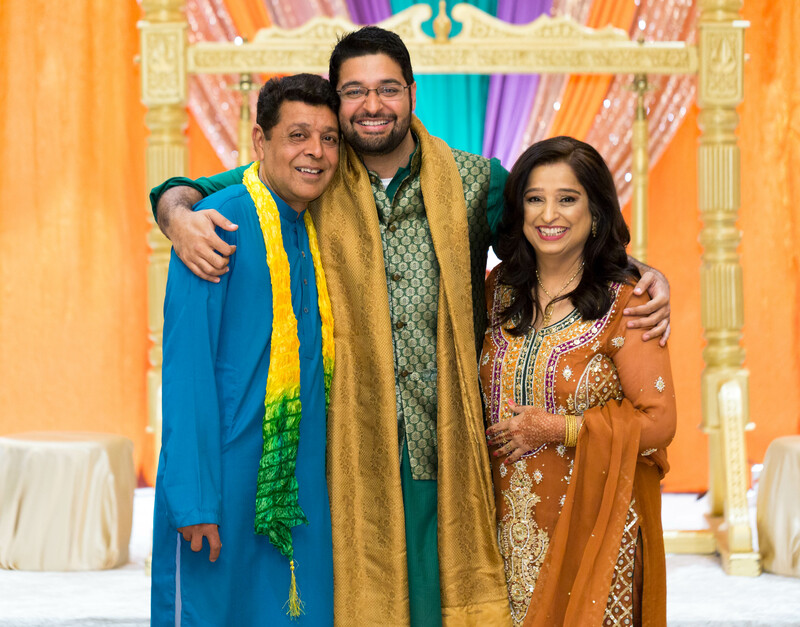 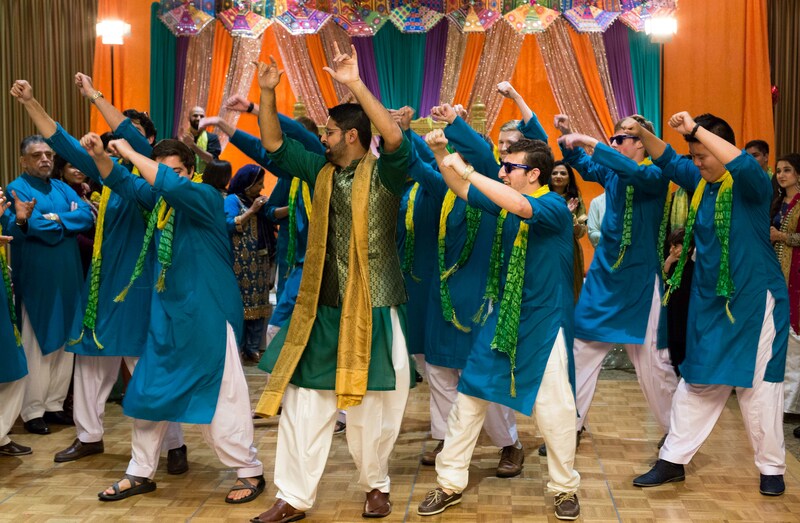 The Southwest desi boys makes their debut – available for performances in the Dallas area! 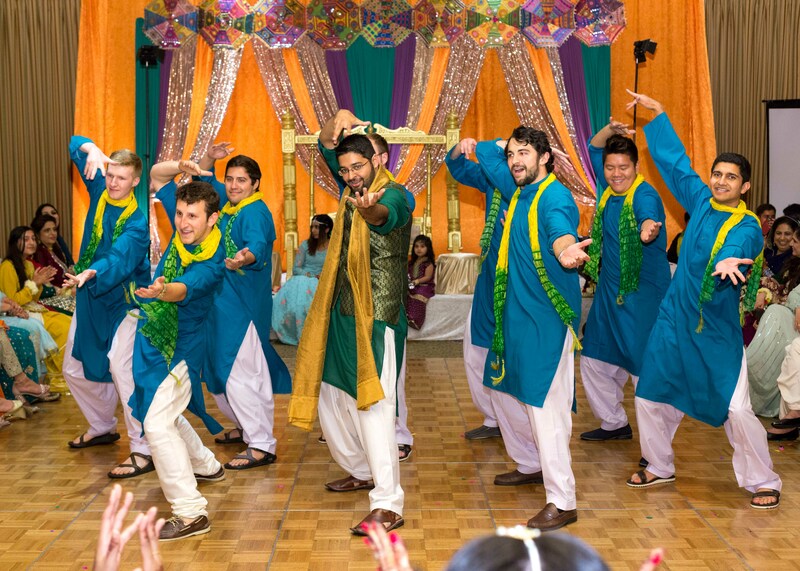 Just kidding, but really these guys killed it! 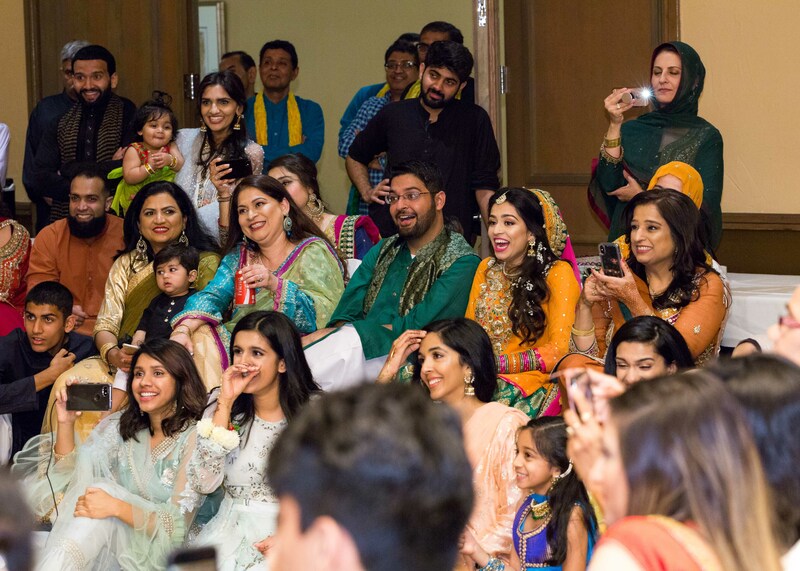 I actually helped them learn the dances for several weeks before the wedding and they performed it as a surprise for Annaa and her whole family! 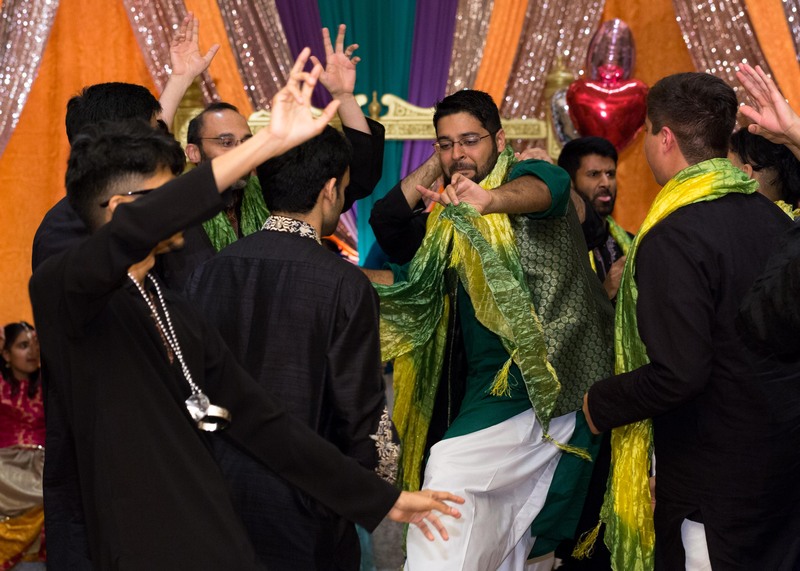 I even jumped in on the last song and did the whole dance in a saree with them (of course no photos of me dancing because I was the photographer – probably a bit of a blessing). 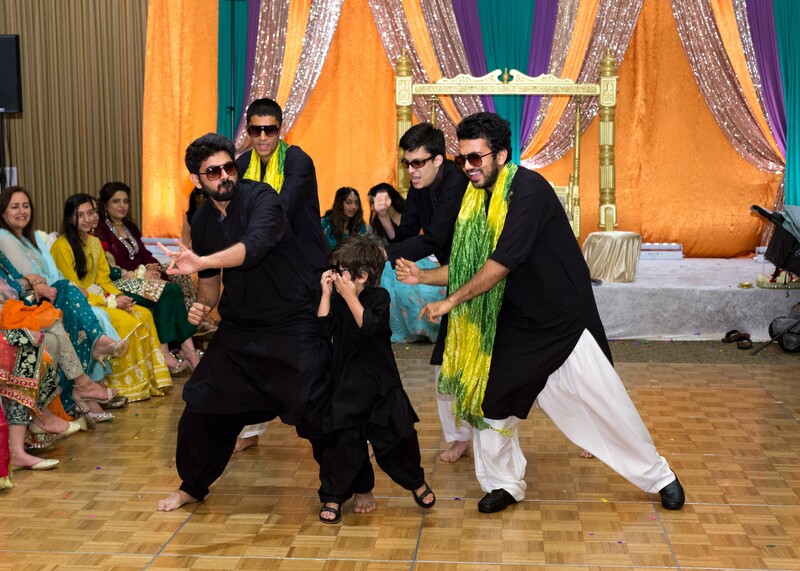 The infamous sibling/cousin skit! 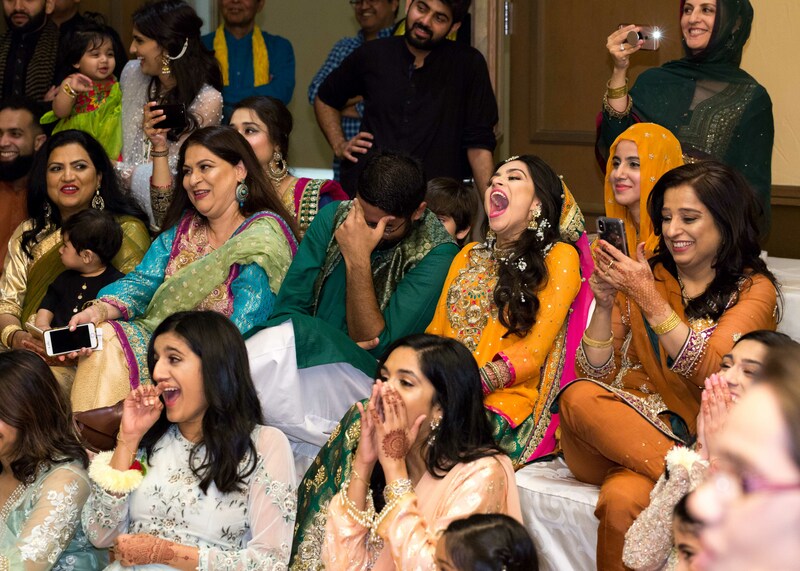 Everyone was dying laughing (especially the bride and groom) at how they reenacted the couple’s relationship – from the first date to the wedding day. 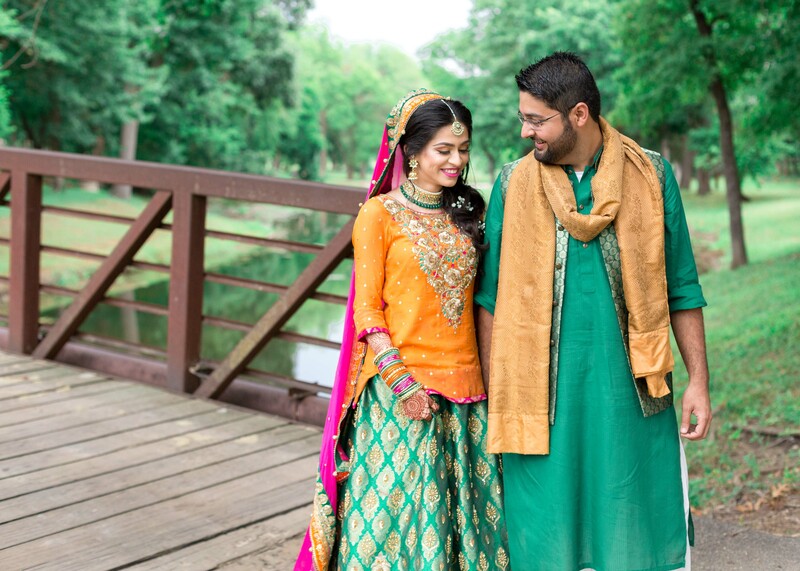 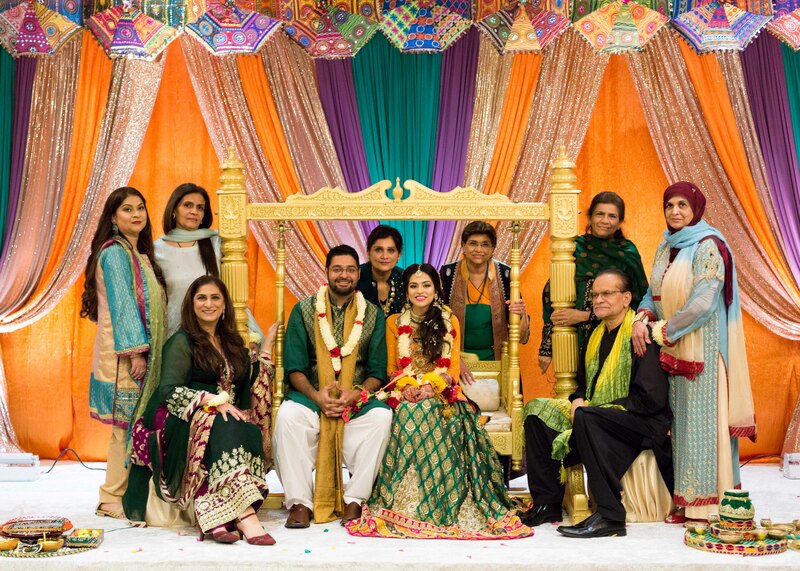 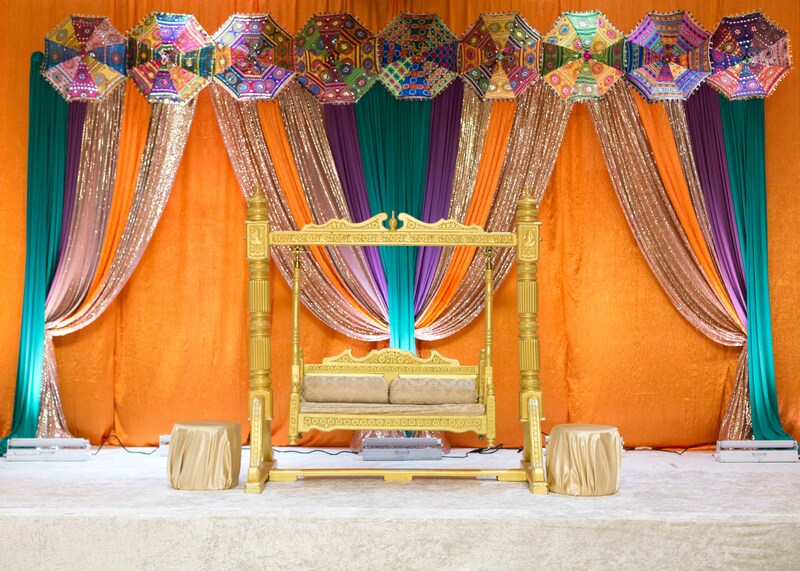 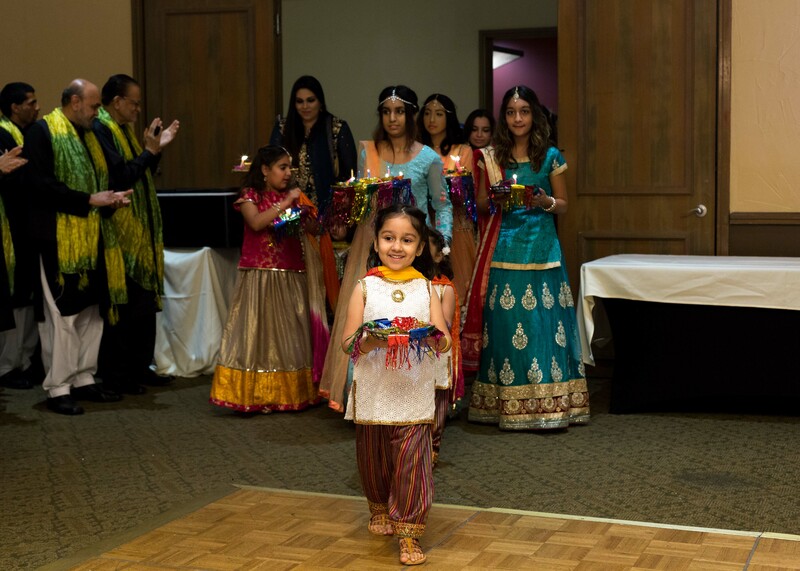 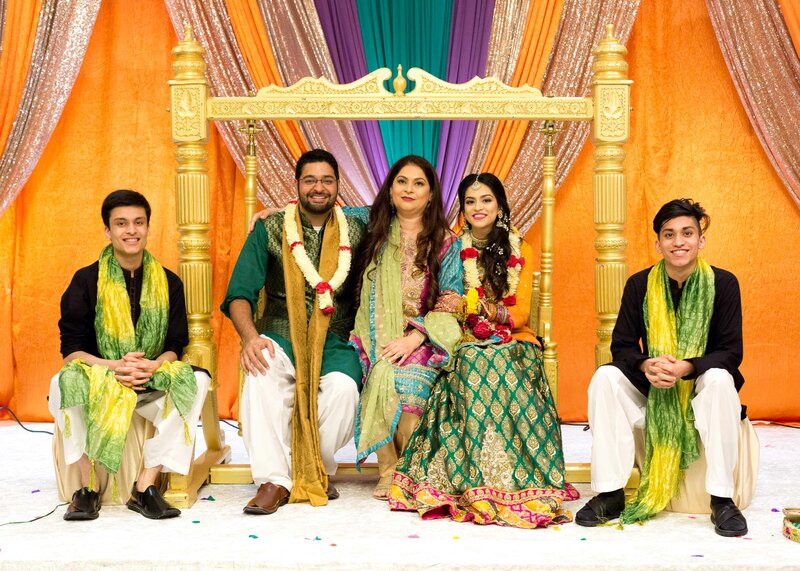 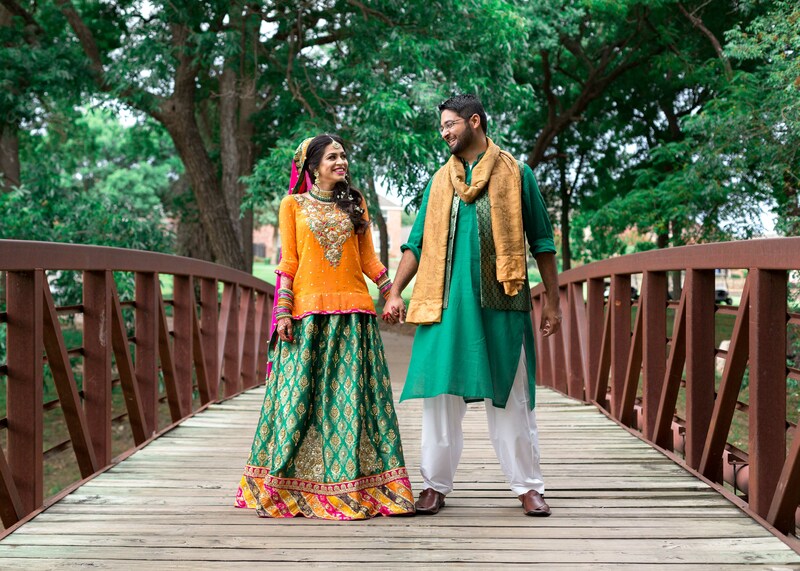 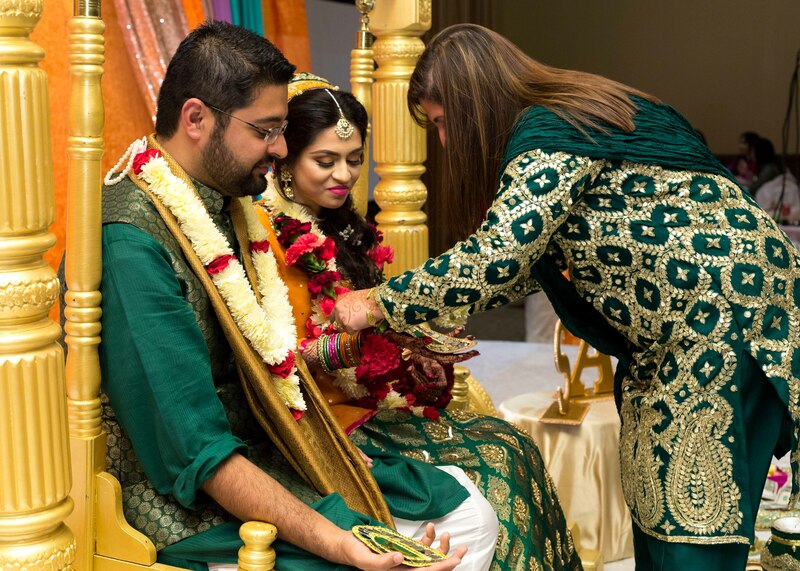 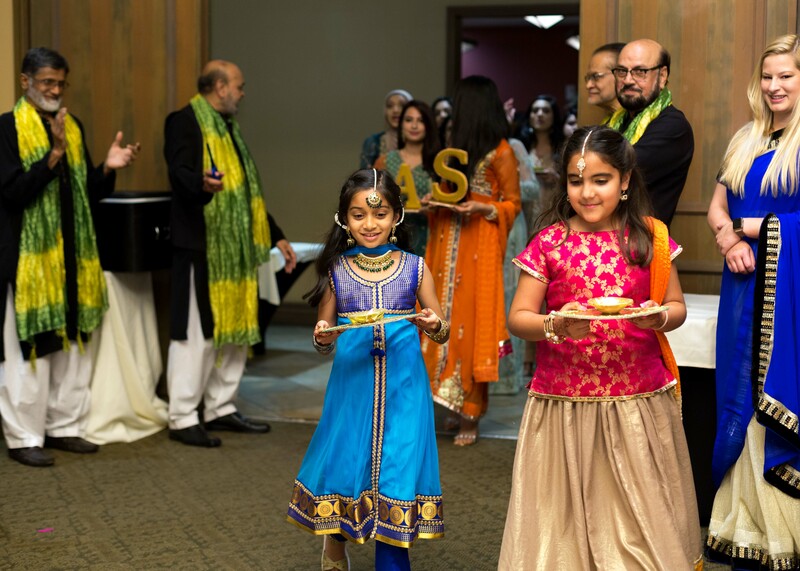 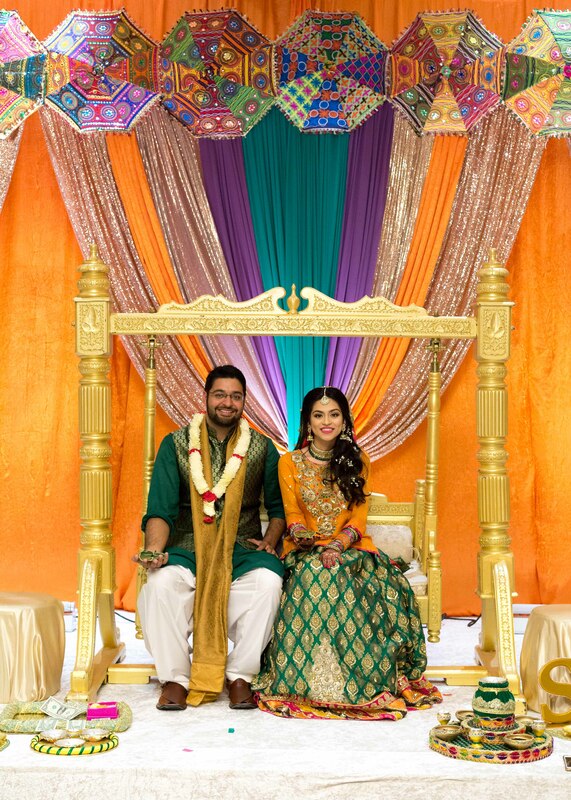 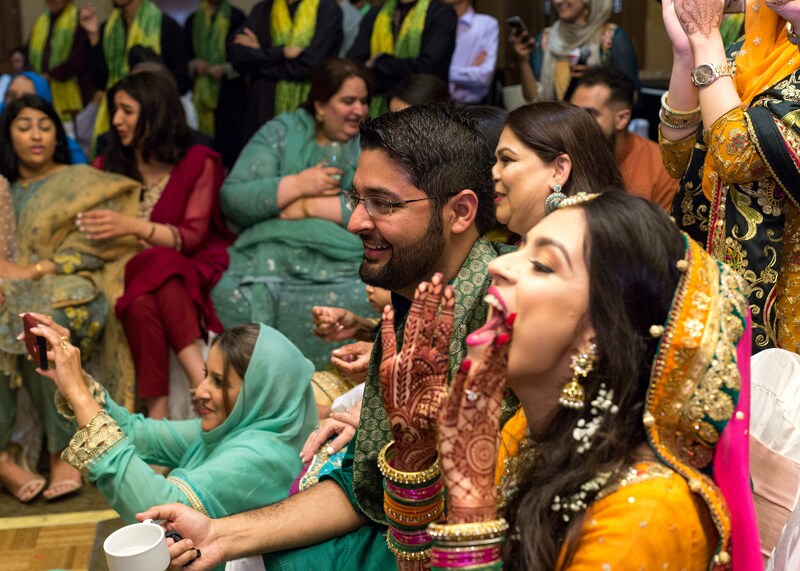 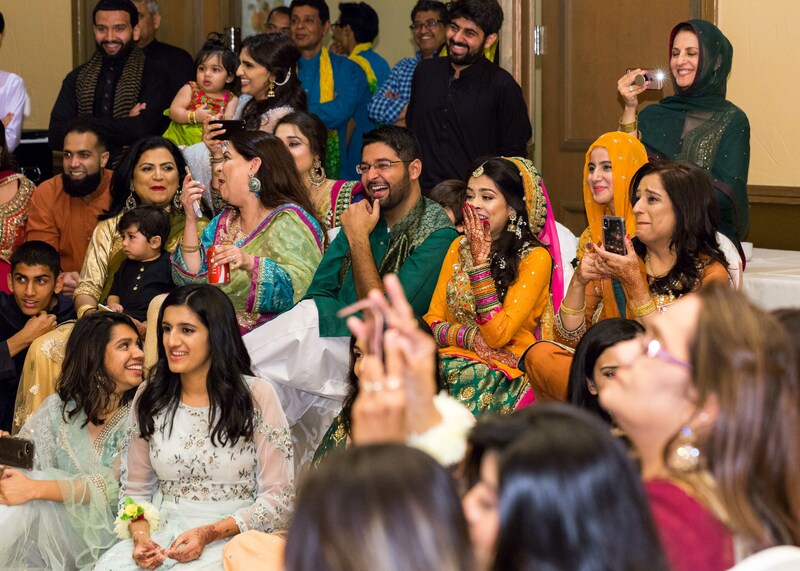 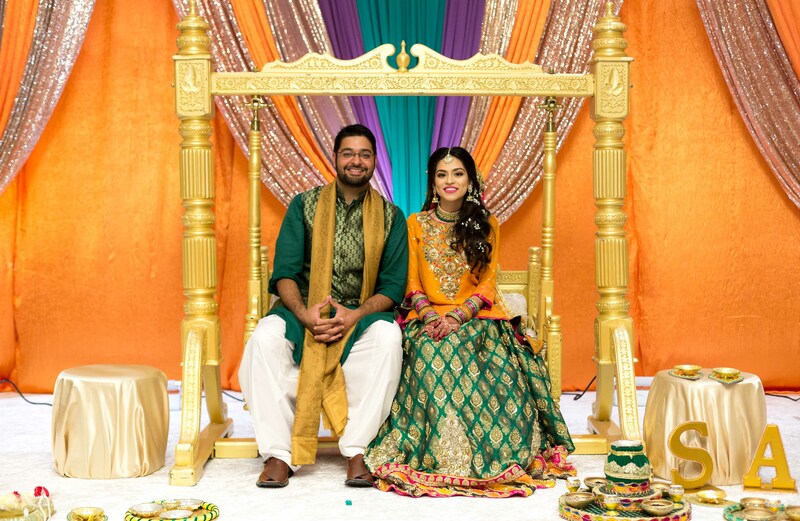 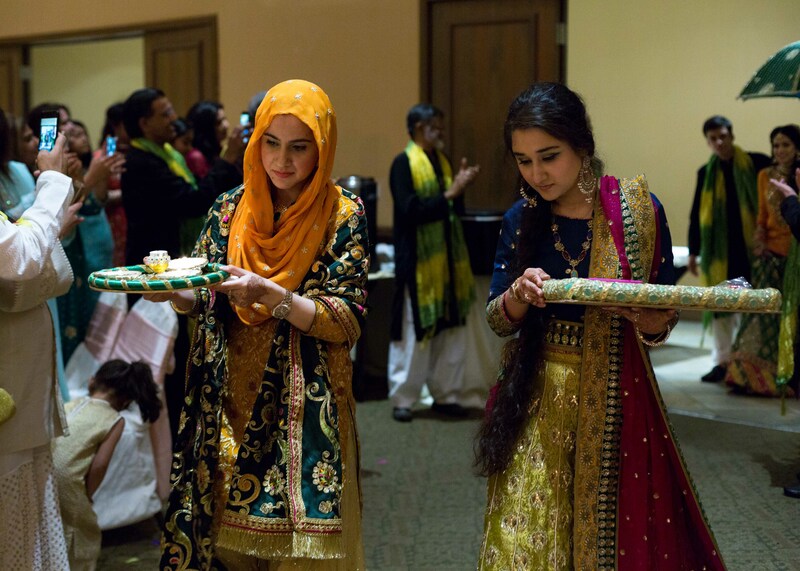 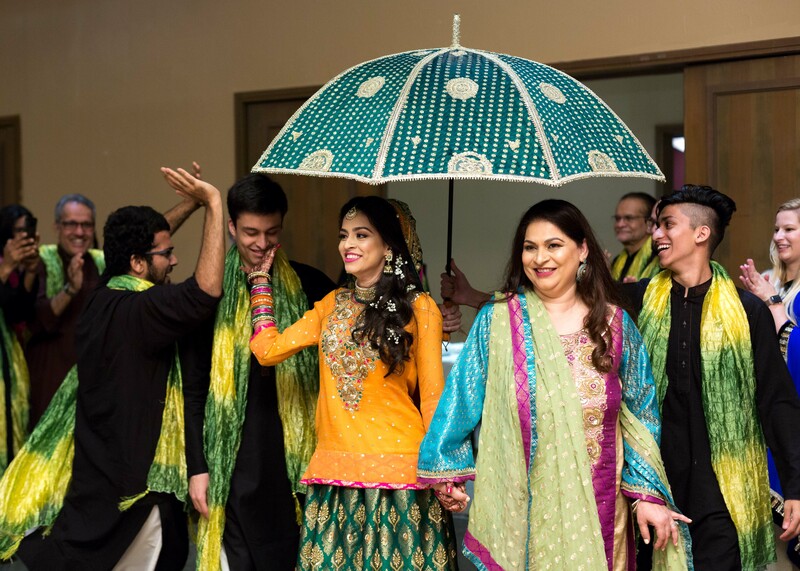 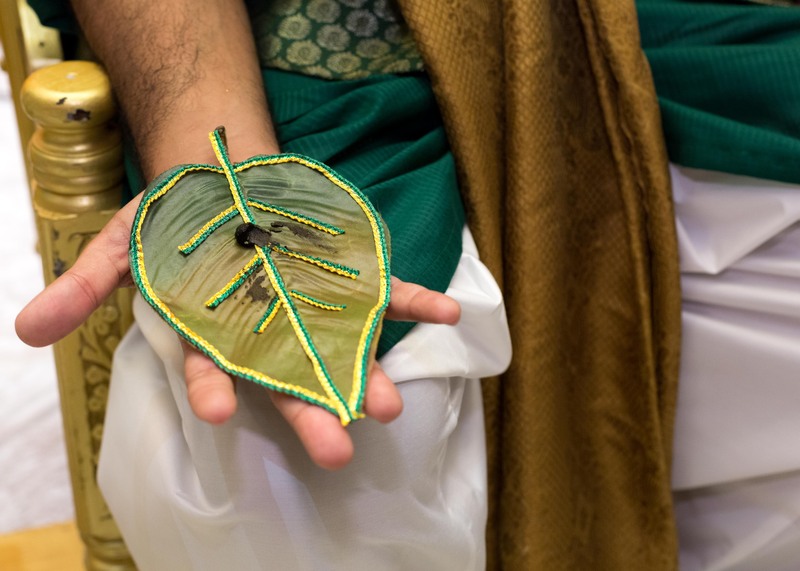 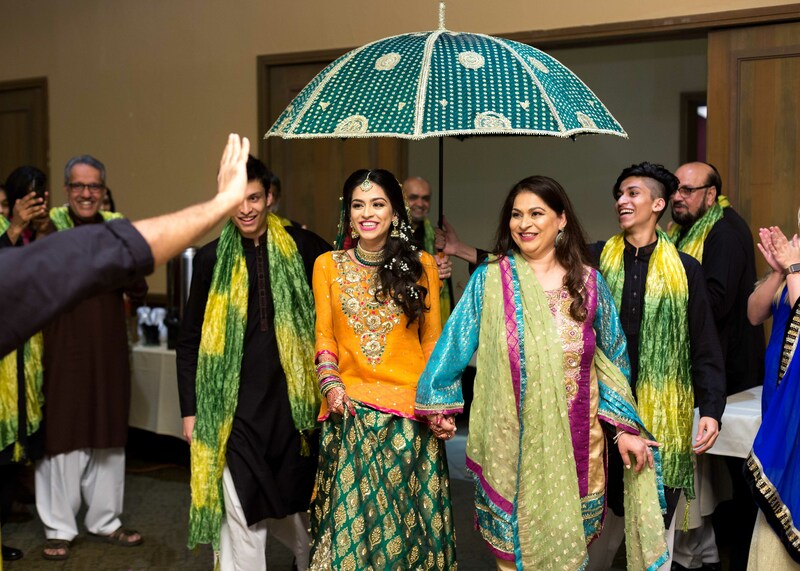 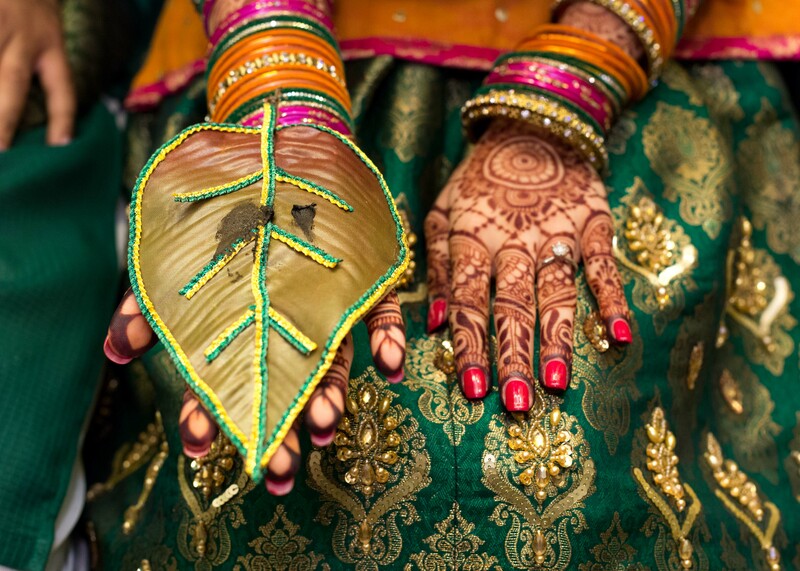 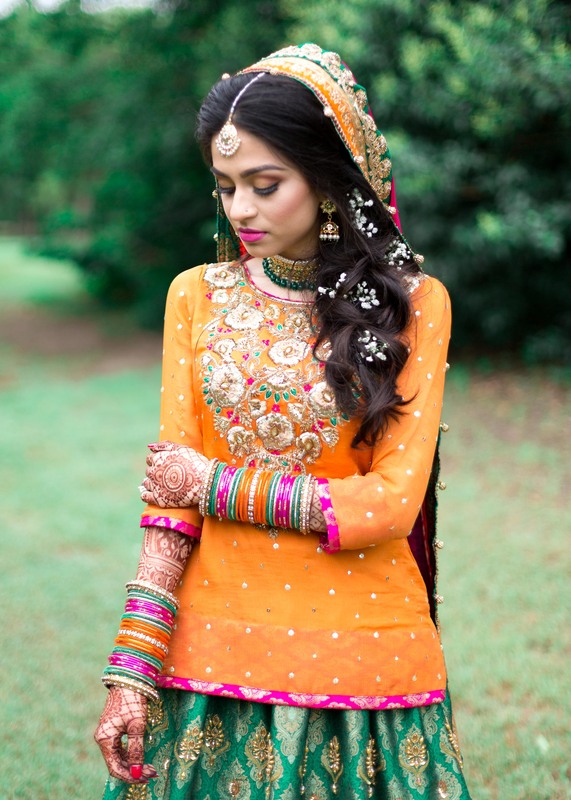 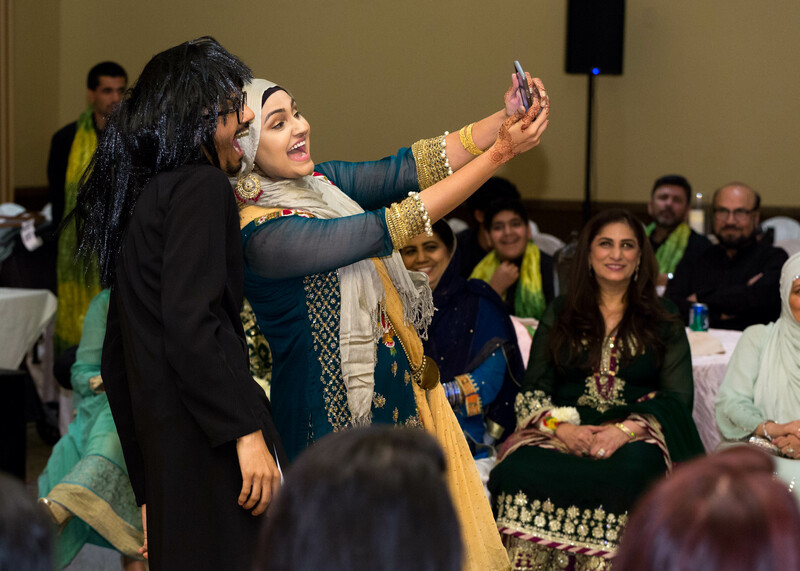 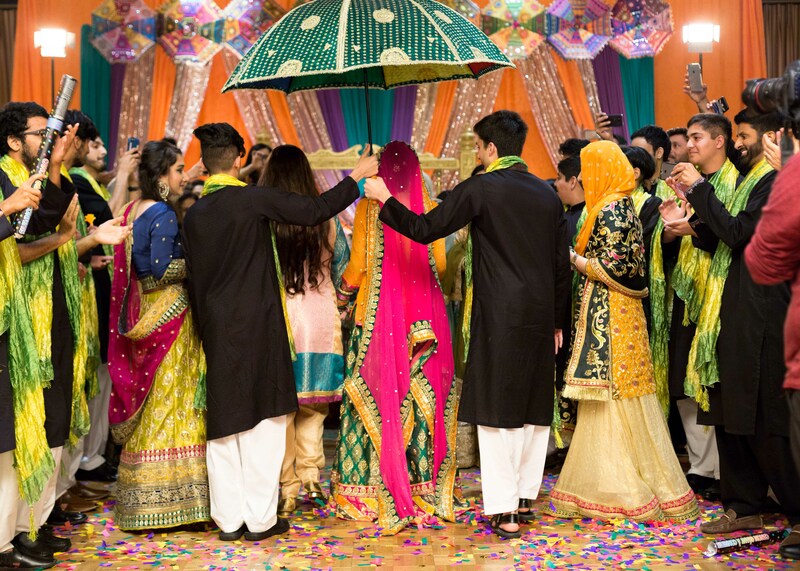 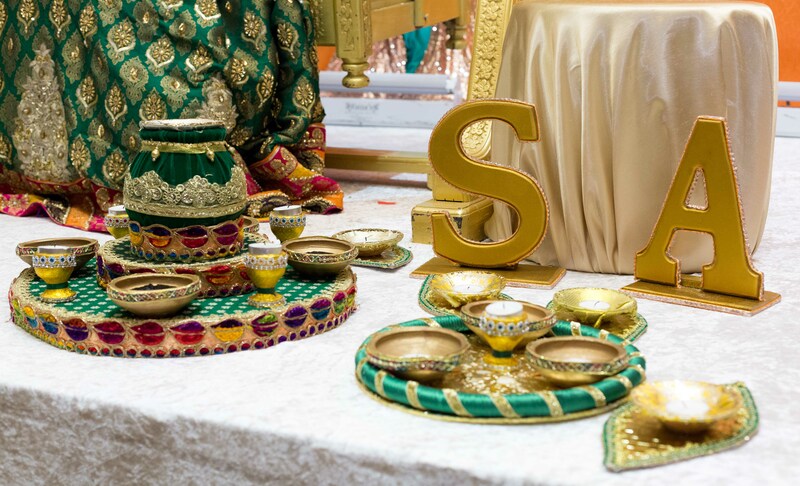 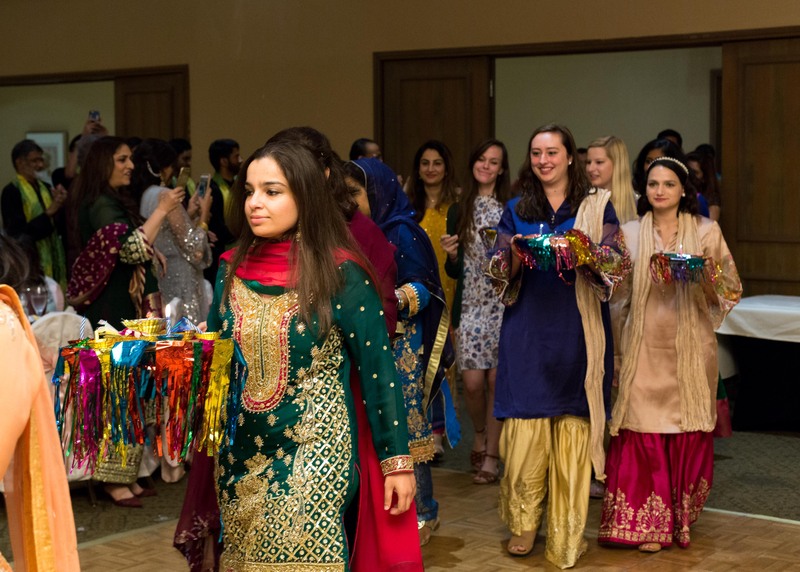 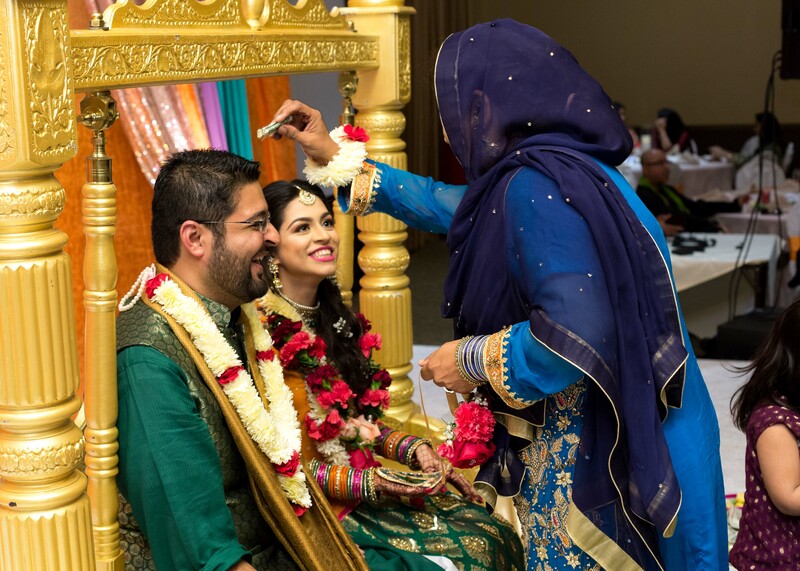 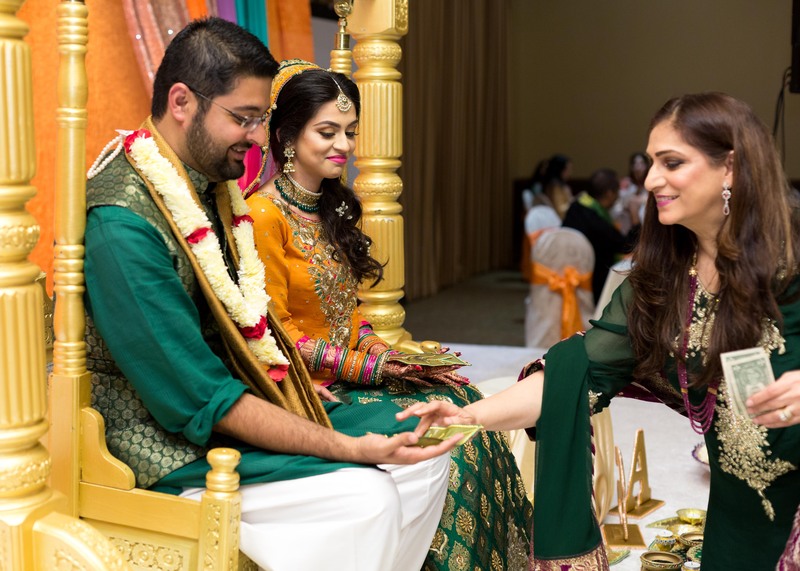 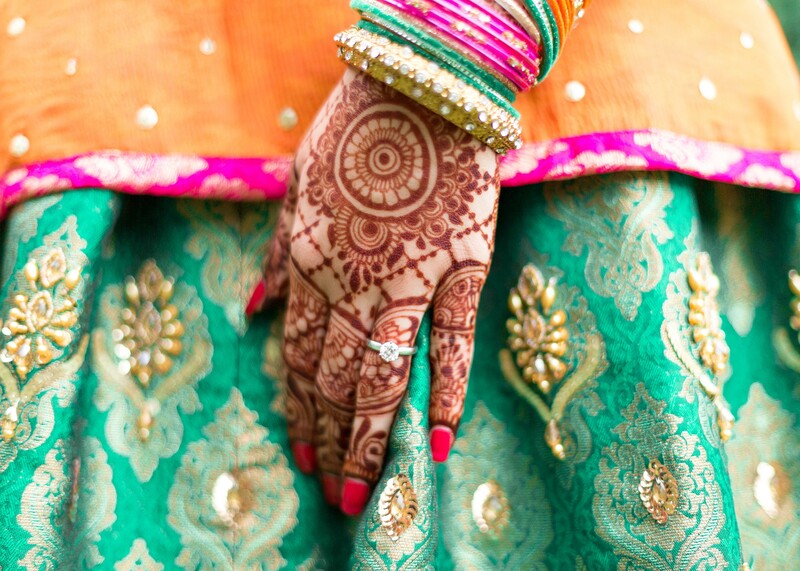 The mehendi ceremony was the first of three nights in this traditional Pakistani wedding. 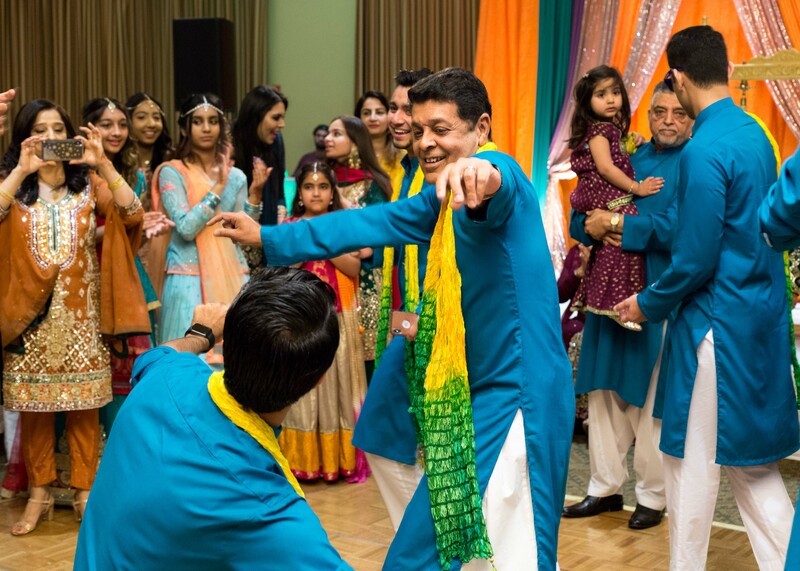 This night ended with lots of dancing and celebration leading into the wedding day Baraat and Shaadi on Saturday and the Valima reception on Sunday.